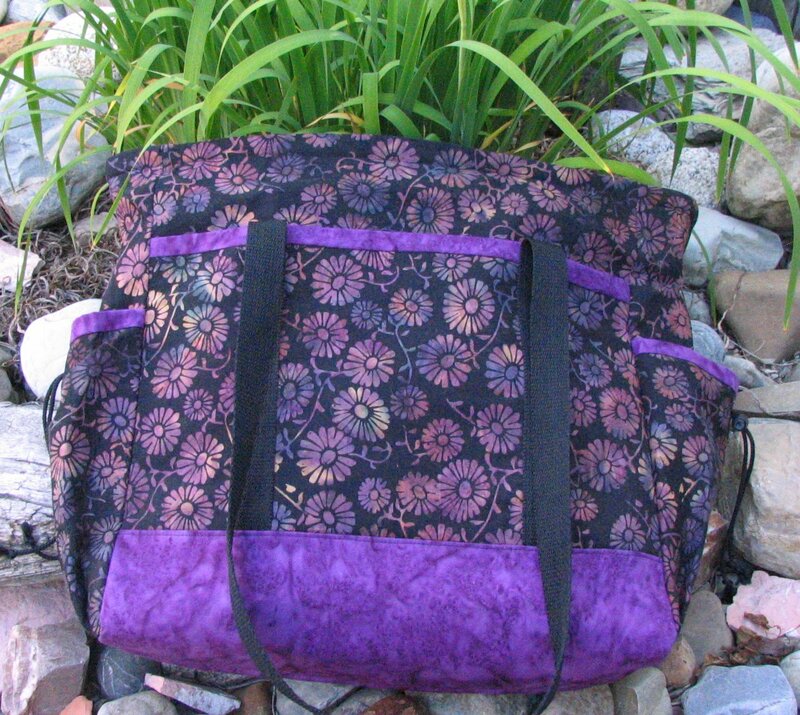 I just had to share another Professional Women’s Tote by The Creative Thimble, I recently finished. It is for my friend, Donna. She chose the fabrics and I made the tote. I have to say that this time around, it went together so fast. I am planning on making two for myself next and with any luck, I will be doing that soon. I have been going through sewing withdrawl since leaving on my trip to South Dakota. But that is another post. Hope you like the photos. It is really hard to get the colors to show up right sometimes, but these are pretty close. I would recommend this pattern to anyone. There are a lot of parts but the instructions are outstanding and it really does go together easily, I think. Click on the picture for a full size view. 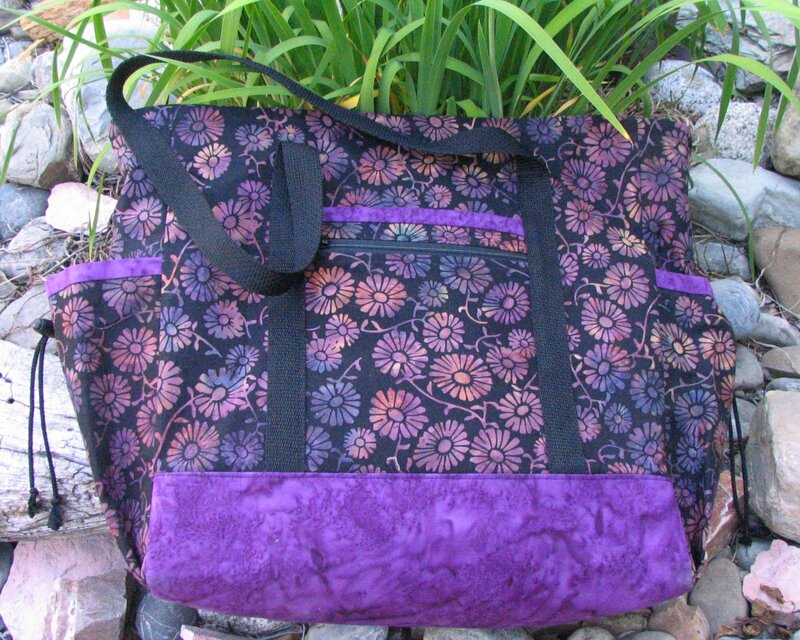 This is one side to the tote that has a nice big pocket that closes with a magnetic snap. 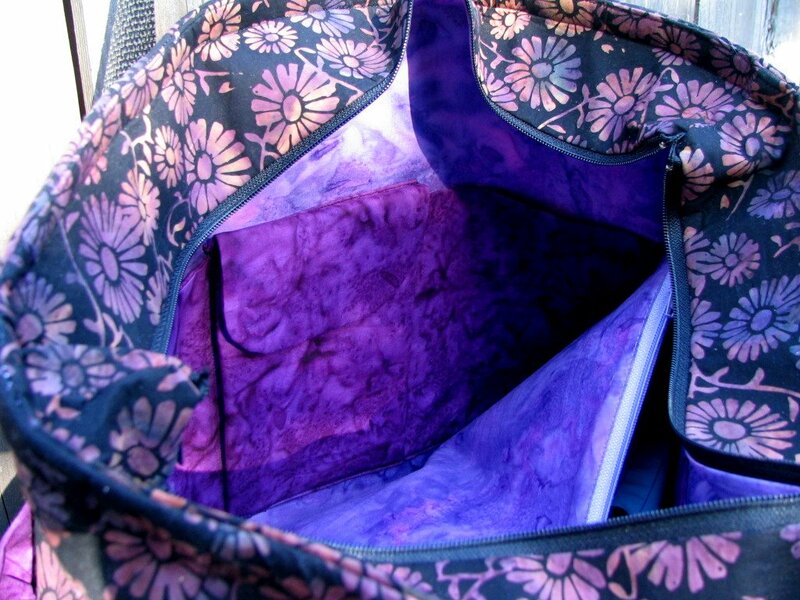 This shows the inside pocket as well as big zipper pocket in the middle of the bag. There is still another patch pocket on the other side. 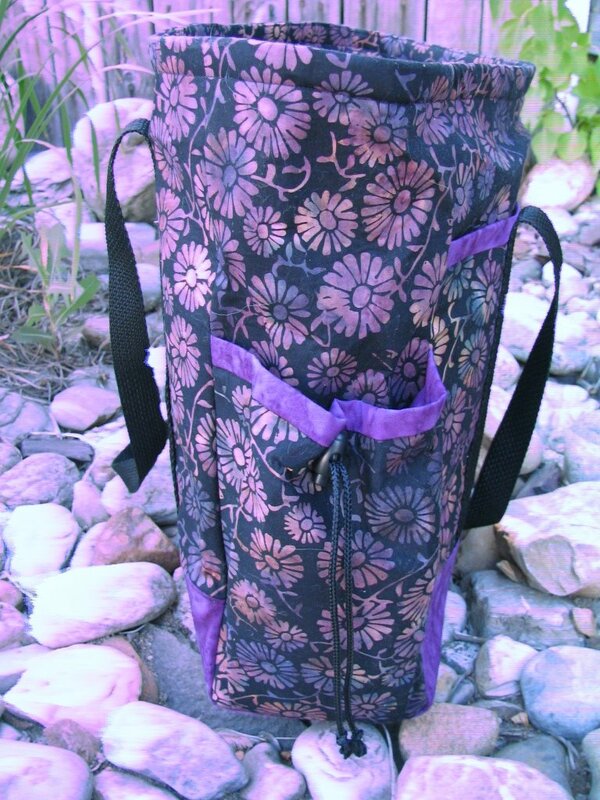 This shows the side of the tote with its drawstring pocket. There is one on each side. They are perfect for a water bottle or umbrella. This side of the tote has two smaller pockets, one with a zipper. Great for boarding passes or passports or any number of things. God, are you talking to me? North Central Maltese Rescue Inc.